Trust us with your Hot Shot Delivery needs throughout North America. We know that your Hot Shot Delivery services need to be managed by a company that is experienced, dependable, honest, reliable and fully equipped to handle your urgent freight no matter where or when it needs to be delivered. 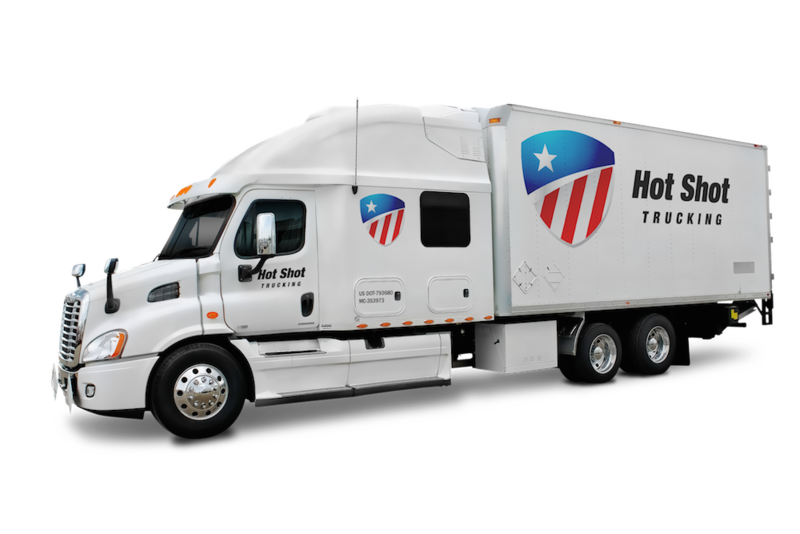 Our years of experience with Hot Shot Trucking enable us to bring you the vast network of resources to make every hot shot delivery a complete success for you and your clients. We hope to add you to our list of satisfied clients. When urgency dictates your Hot Shot Trucking needs, place your trust in the company that provides these solutions every day of the year. HotShotTrucking.com is proud to provide the most consistent, fast and effective Hot Shot Delivery services across the entire nation. We can help you with all of your urgent delivery requirements, from urgent freight to over-dimensional loads for crude oil, natural gas, fracking, oil drilling & refinery operations, we'll make sure that your freight gets to its destination on-time, every time. Our years of experience in the energy, automotive and construction sectors gives us a unique understanding of your hot shot delivery needs and with that deep experience we always bring the results that matter. Our Hot Shot Delivery services apply to all local, regional and national loads. Take advantage of our comprehensive capabilities which can accommodate all wide loads, mega size loads and specialized equipment, parts and machinery. We believe in our client's need for accurate and reliable services that bring success and will always work with you and your schedule to handle all Time-Sensitive Freight; whether you need it picked-up, held or shipped. Trust us to bring our network of excellence to your hot shot delivery needs. Trust Hot Shot Trucking for your Hot Shot Carrier needs locally and nationwide. As a comprehensive Hot Shot Carrier, HotShotTrucking.com brings you the benefit of a full range of Expedited Freight services each in place to accommodate all load sizes for natural gas operations, oil refineries, oil sands, fracking operations and pipelines. Our emergency trucking solutions exist to meet the hot shot carrier needs of the energy sector along with automotive and construction urgent freight. We're ready to help regardless of your hot shot needs. 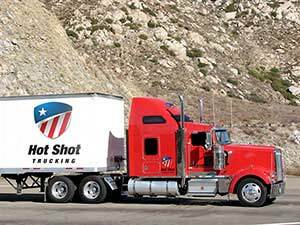 Hot Shot Trucking holds deep experience in your industry which allows us to provide the best results in the market for hot shot carrier services. We match our wealth of resources to your specific needs and support that with the professionalism and attention to detail that you expect. 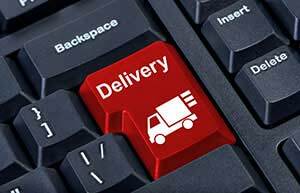 We provide the support needed to allow you to manage your urgent hot shot delivery every step of the way from pick up to safe delivery. We believe that when you are faced with selecting a Hot Shot Carrier, it is extremely important to consider both experience and results. We're proud to share that there is no shortage of either at HotShotTrucking.com, we bring the benefit of professionals experienced in providing dependable shipping from our main offices to dispatch plus our network of trained drivers numbers in the thousands. Your success depends on how efficiently your Hot Shot Freight is managed and our results speak volumes. We hope to have the opportunity to serve you and accommodate your urgent freight and over-dimensional loads, HotShotTrucking.com utilizes a wide range of transportation options including dry vans, flatbed trailers, full truckloads, direct freight, permit loads and much more. Off the road, HotShotTrucking.com will gladly assist you with routing and scheduling, load planning and service level measurement. These resources are just a few of the ways that proudly set Hot Shot Trucking apart from other Hot Shot Carriers. To get started today please contact us at 800-713-1000 or complete our quick quote form and a member of our professional urgent freight team can follow up quickly. Experience the difference HotShotTrucking.com can make, and choose a Hot Shot Carrier you can trust. 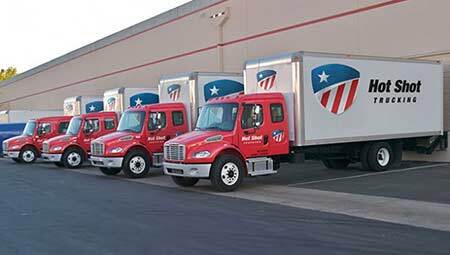 Across the county or across the nation, trust your Hot Shot Shipping to us. Whether you have pipeline sections that need to be delivered across the country or oil rig parts that need to go across the state, HotShotTrucking.com has the ideal Hot Shot Shipping solutions. Our wide-ranging Expedited Freight services will help you with everything from routing and scheduling, to actually picking up, holding and delivering your freight according to your schedule. Best of all our experience with hot shot shipping is within the same industries that you work in so our expertise is especially in tune with your needs. From the energy sector to construction and automotive we can manage your urgent freight with the dedication and professionalism you deserve. Why take a chance with a company that is new to the hot shot shipping market? One of the biggest benefits of working with HotShotTrucking.com is our unmatched dependability and hot shot experience. No matter how your freight needs to travel or how large the load, we'll always get it to its destination on time. We also hold ourselves accountable; giving you access to our comprehensive tracking system as well as 24/7 support so you're never left wondering when your freight will arrive or be picked up. We know that your business success is often contingent on selecting the ideal hot shot shipping partner and we encourage you to select the best. When it comes to Hot Shot Shipping, you can't afford to take chances on unproven carriers or those who don't understand hot shot loads. Trust HotShotTrucking.com to get your machinery, equipment and parts where they need to go on-time, every time. We hope that we can help so get started by calling us today at 800-713-1000 or complete our quick quote form and one of our urgent freight experts will be in touch shortly.